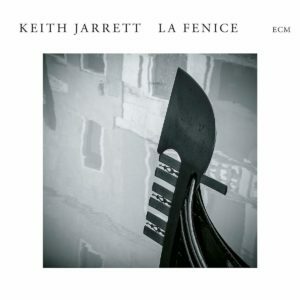 ECM Records will release a new solo album, La Fenice, on October 19, 2018.
from Gilbert and Sullivan’s opera The Mikado. Thanks to Ziad, Stephen, Jan, Heino, Matthias, and Christoph for sending me information about this release. Update (September 22, 2018). “The Sun Whose Rays” is already available from streaming platforms such as Deezer or Spotify. Thanks to Gabriele for the link! This entry was posted in Releases on September 20, 2018 by Olivier Bruchez.